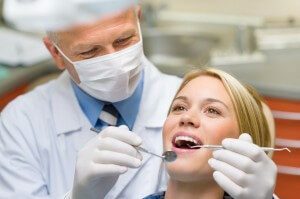 Your dentist will decide if crowns or veneers are best for you. Porcelain Veneers are a thin piece of porcelain (similar to a contact lens) that resembles the enamel of the tooth. Veneers are bonded to the front surface of the tooth with minimal tooth reduction. Veneers can change the color, shape, and size of teeth making them look more natural and beautiful, mimicking mother nature’s luminosity and opalescence. They are ideally used for discolored teeth, fillings that are too large and noticeable, crooked or misaligned, chipped or worn down teeth, spaces between teeth, or teeth that are too short, long or wide.